Patricia Briggs’ Frost Burned debuts at number 1. 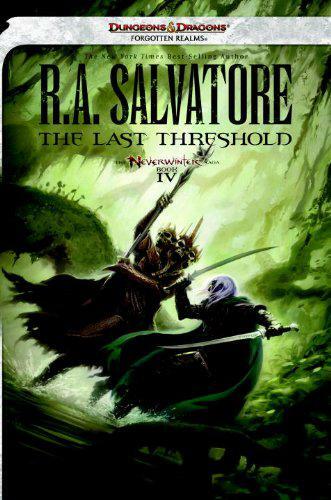 R. A. Salvatore's The Last Threshold debuts at number 10. David Weber’s Shadow of Freedom debuts at number 11. Robert Jordan and Brandon Sanderson's A Memory of Light is down six positions, ending the week at number 13. For more info about this title: Canada, USA, Europe. George R. R. Martin's A Dance With Dragons is down three spots, finishing the week at number 16. For more info about this title: Canada, USA, Europe. George R. R. Martin's A Game of Thrones is up two positions, ending the week at number 10. Stephenie Meyer's The Host is up five spots, finishing the week at number 13. Rob Thurman's Slashback debuts at number 18. George R. R. Martin's A Storm of Swords is up four positions, ending the week at number 19. Seanan McGuire's Midnight Blue-Light Special debuts at number 20. George R. R. Martin's A Feast for Crows is up four positions, ending the week at number 22. George R. R. Martin's A Clash of Kings is up five spots, finishing the week at number 24. Stephenie Meyer's The Host is up three spots, finishing the week at number 24 (trade paperback). Stephen King’s The Dark Tower: The Wind Through the Keyhole is up one spot, finishing the week at number 26. Erin Morgenstern's The Night Circus is down three positions, ending the week at number 27 (trade paperback). David Mitchell's Cloud Atlas maintains its position at number 31 (trade paperback). Michael Reaves and Maya Kaathryn Bohnhoff's The Last Jedi is down twenty-two positions, ending the week at number 33.